"For what is the crime of burgling a bank, compared with the crime of building one?" Last week in Washington we got a rare look inside the global private banking industry, whose high purpose it is to gather up the assets of the world's wealthiest people and many of its worst villains, and shelter them from tax collectors, prosecutors, creditors, disgruntled business associates, family members and each other. 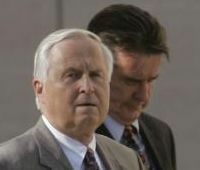 The theatrics included videotaped testimony by Heinrich Kieber, a Liechtenstein computer expert in a witness protection program with a $7 million bounty on his head, for supplying a list of at least 1,400 LGT clients - some say more than 4,500 - to tax authorities in Europe and the United States; two former American clients of LGT, who took the Fifth Amendment; Martin Liechti, head of UBS international private banking for North and South America, who'd been detained in Miami since April, and who also took the Fifth; Douglas H. Shulman, our sixth IRS commissioner in eight years, who conceded that offshore tax evasion must be a "serious, growing" problem even though the IRS has no idea how large it is; and Mark Branson, CFO of UBS's Global Wealth Management group, who apologized profusely, pledged to cooperate with the IRS (within the limits of Swiss secrecy) and surprised the Committee by announcing that UBS has decided (for the third time since 2002) to "exit" the shady business of providing new secret Swiss accounts to wealthy Americans. 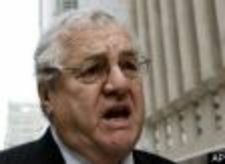 There were also several other potential witnesses whose importance was underscored by their absence. Peter S. Lowy, of Beverly Hills, another former LGT client who'd been subpoenaed, is a key member of the Westfield Group, the world's largest shopping mall dynasty, which has interests in and operates 55 US malls and 63 others around the world with a combined value of more than $60 billion, holds the lease for a new shopping mall at the reconstructed World Trade Center, has many other properties in Australia and Israel, and was recently awarded a L3 billion project for the UK's largest shopping mall, in time for the 2012 Olympics. 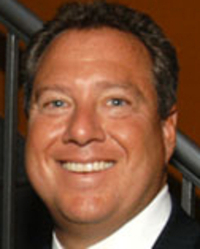 Steven D. Greenfield, a leading New York City toy vendor and private equity investor whose business had been personally recruited by the Crown Prince's brother, went AWOL and did not bother to send a lawyer. LGT Group declined to follow UBS's contrite example and also failed to appear. While neither of these UBS executives have been directly implicated in the tax scandal, both might reasonably be questioned about precisely what the rest of UBS in the States knew about the Swiss program, what it implies for US tax policy, and whether those who complain about UBS's knowing facilitation of tax fraud are just whining. 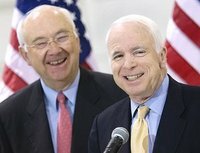 While they were on the subject of offshore abuses, the Senate might also have wanted to depose former top McCain fundraiser James Courter, who also resigned last week, after it was disclosed that his telecom firm, IDT, had been fined $1.3 million by the FCC for using a haven company in the Turks and Caicos to pay bribes to former Haitian President Jean-Bertrand Aristide. This crowded docket, combined with the UBS mea culpa, almost distracted us from the sordid details of the Levin Committee's actual findings. UBS: UBS opened its first American branch in 1939, and for all we know, has likely been facilitating tax fraud ever since, but the Senate investigation focused only on 2000 to 2007. 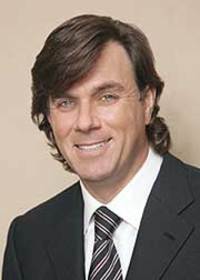 During this period, even as UBS was sharply expanding its onshore US operations by acquiring Paine Webber, expanding in investment and retail banking, it also mounted a top-secret effort to recruit wealthy Americans, spirit their money to Switzerland and other havens and conceal their assets from the IRS. This program, aimed at people with a net worth of $40 million to $50 million each, was staffed by fifty to eighty senior calling officers and 1,000 client advisors. Based in Zurich, Geneva, and Lugano, each officer made two to ten surreptitious trips per year to the United States, calling on thirty to forty existing clients per visit and trying to recruit new ones by attending HNW (high net worth) watering holes like Miami's Art Basel and the UBS Regatta in Newport. By 2007, this program had garnered 20,000 American clients, with offshore assets at UBS alone worth $20 billion. To achieve these results, UBS established an elaborate formal training program, which coached bankers on how to avoid surveillance by US customs and law enforcement, falsify visas, encrypt communications, secretly move money in and out of the country and market security products even without broker/dealer licenses. Meanwhile, back in 2001, UBS had signed a formal "qualified intermediary" agreement with the US Treasury. Under this program, it agreed either to withhold taxes against American clients who had Swiss accounts and owned US stocks, or disclose their identities. However, when UBS's American clients refused to go along with these arrangements, the bank just caved in and lied to the US government. Eventually, it concealed 19,000 such clients, partly by helping to form hundreds of offshore companies. This cost the US Treasury an estimated $200 million per year in lost taxes. In early July 2008, a US court approved a "John Doe" subpoena for UBS, demanding the identities of these 19,000 undisclosed clients. However, as of last week's Senate hearing, UBS has refused to disclose them. While it maintains that it is no longer accepting new Swiss accounts from Americans, it is also insisting on the distinction between "tax fraud" and "tax evasion," reserving full disclosure only for cases involving criminal tax fraud, which is much harder to prove under Swiss law. This means it may be difficult to ever know whether it has kept its commitments. Ultimately UBS got caught, not by virtue of diligent law enforcement, much less the Senate's investigation, but by sheer accident. In late June, Bradley Birkenfeld, a senior private banker who'd worked with UBS from 2001 until late 2005 out of Switzerland, and then continued to service the same clients from Miami, pleaded guilty to helping dozens of wealthy American clients launder money. His name surfaced when his largest client, Igor Olenicoff, a Russian emigré property developer from Southern California, was accidentally discovered by the IRS to be reporting much less income tax than he needed to justify his $1.6 billion measurement on the Forbes 400 list of billionaires. With Birkenfeld's help, Olenicoff succeeded in parking several hundred million of unreported assets offshore--including millions in accounts controlled by a Bahamian company that he said had been set by former Russian Premier Boris Yeltsin. Ultimately, Olenicoff settled with the IRS for $52 million in back taxes, one of the largest tax evasion cases in Southern California history, and also agreed to repatriate $346 million from Switzerland and Liechtenstein. In theory he faced up to three years of jail time, but--following standard US practice of going easy on big-ticket tax evaders who have no "priors"--he received only two years probation and three weeks of community service. As noted, Olenicoff also gave up his UBS private bankers, including Birkenfeld, who plead guilty in June to facilitating tax fraud and is now awaiting sentencing--the first US prosecution of a foreign private banker in history. 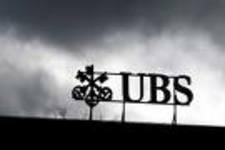 It was Birkenfeld's revelations, in turn, that led to the disclosure of UBS' program for wealthy Americans, and at least one-half of the Senate investigation. The most important point is that this entire program would clearly have been impossible without the knowledge and approval of the bank's most senior officials in Switzerland, and probably some senior US executives as well -- although the Committee did not press this point. As former UBS CEO Peter Wuffli once said, "A company is only as ethical as its people." From this standpoint, we have reason to be concerned that UBS's behavior may repeat itself, so long as so many of these same senior executives remain in place. LGT: For all its pretensions to nobility, Liechtenstein is well-known in the trade as the "place for money with the stains that won't come out," a flexible jurisdiction whose "trusts" and "foundations" are basic necessities for everyone from Colombian drug lords and the Saudi royals to the Suhartos, Marcoses, Russian oligarchs, and Sicilian mafia. As detailed by the Senate investigation, LGT Group has certainly lived up to this reputation in the US market. It maintained a program that was, if anything, even more sophisticated and discreet than that of UBS for large fortunes. Among its specialties: setting up conduit companies in bland places like Canada, allowing clients to transfer money without attracting attention; leaving the designation of "beneficiaries" up to corporations controlled by potential beneficiaries themselves, a neat way of avoiding "know your customer" rules; rarely visiting clients at home, let alone mailing, e-mailing, or phoning them, certainly never from a Liechtenstein post office, Internet address, or area code; shifting the names of trust beneficiaries to very old folks just before death to make it look like a repatriation of capital was an inheritance. In terms of precise trade craft, indeed, LGT had it all over UBS. It only really got caught red-handed when it tried to modernize and trusted Heinrich Kieber, a fellow citizen and IT expert ,who turned out to be either a valiant whistleblower, a well-paid extortionist (he was paid $7.5 million by the German IRS alone for his DVDs), or both. So what do we learn from all this? Many will consider these revelations shocking. After all, just as the US government is facing a $500 billion deficit, millions of Americans are fighting to save their homes, cars, and college educations from the consequences of predatory lending, and inequalities of wealth and income are greater than at any time since the late 1920s, we learn that for decades, the world's largest banks have been helping wealthy Americans steal billions in tax revenues from the rest of us. At the very least, this suggests that it may be time to put the issue of big-ticket tax evasion, offshore and on, back on the front burner. But we also need historical perspective. Those who have studied this subject for decades also realize that achieving reform in this arena is not a matter of a few criminal prosecutions. It is a continuous game, requiring persistence and constant adaptations to the opponents, because we are playing against some of the world's most powerful vested interests, with huge fortunes at stake. After all, offshore tax evasion by wealthy Americans is hardly new. For example, in May 1937, Treasury Secretary Henry Morgenthau, Jr. wrote a lengthy letter to Franklin Delano Roosevelt, explaining why tax revenues had failed to meet his expectations despite a sharp rise in tax rates. Some rich folks didn't mind paying up, given the hard times so many Americans were facing during the Depression. As Edward Filene, the Boston department store magnate, famously remarked, "Why shouldn't the American people take half their money from me? I took all of it from them." However, according to Morgenthau, many other rich people busied themselves inventing new ways to dodge taxes, notably by secreting funds offshore in brand new havens like the Bahamas, Panama, and.... Newfoundland! Scroll forward to the Castle Bank and Trust case of the early 1970s, when another IRS investigation of offshore banking disclosed a list of several hundred wealthy Americans who'd set up trusts in the Bahamas and Cayman Islands. Just as the investigation was picking up steam and the names were about to be publicized, a new IRS Commissioner came in and shut it down--officially because the otherwise-lawless Nixon Administration suddenly got concerned about due process. Few names on the list--a copy of which appears in my forthcoming book, Pirate Bankers, were ever investigated. Scroll forward now to the late 1990s, when the Organization for Economic Cooperation and Development (OECD), the European Union and the US Treasury once again became excited about offshore tax havens. As the EU launched its "savings tax directive" on cross-border interest, a Cayman banker surfaced to report that more than 95 percent of his nearly 2,000 clients were Americans, and the IRS discovered 1 million to 2 million Americans using credit cards from offshore banks. Meanwhile, the OECD's favorite tool became the "blacklist." A list of thirty-five to forty "havens" was evaluated on the basis of abstract criteria like the quality of anti-money laundering programs and the willingness to negotiate information sharing agreements. Unfortunately this "name and shame" approach didn't have much success. First, the OECD had no success against jurisdictions like Monaco, Andorra, and Liechtenstein that are basically shameless. Second, the OECD's definition of "haven" was highly selective. It omitted many emerging havens like Dubai, the Malaysian island of Labuan, Estonia, Singapore, and for certain purposes even Denmark, whose importance has recently increased. As we'll see, it also ignored the role of major onshore havens like London and New York, which have been very attractive to the world's non-resident rich, especially from the developing world. Third, blacklisting havens focused on the wrong dimension. 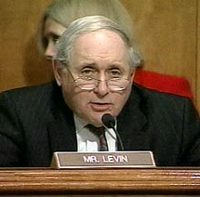 As Senator Levin's hearing has underscored, the real problem is a global pirate banking industry that cuts across individual havens, and includes many of our largest, most influential commercial and investment banks, hedge funds, law firms, and accounting firms. From their standpoint, it doesn't much matter whether a particular haven survives, so long as others turn up to take their place in providing anonymity, security, and low-tax returns. Up to now, despite blacklisting, the supply of new tax haven vehicles has been very elastic. On the other hand, as the UBS and LGT cases show, the dominant players in global private banking are relatively stable institutions--which makes sense, given their clients' need for stable sanctuaries. This suggests that it makes more sense to focus on regulating institutions than regulating or blacklisting physical places. Until the UBS case, this seemed to be much more difficult than, say, beating up on some tiny and distant sultry island for shady people. Even now, after the Birkenfeld case supplied the first private banker prosecution, we have yet to see the first criminal prosecution of a top-tier private bank--apart from BCCI in the early 1990s, which had already failed and was hardly top-tier. This is not because of a shortage of despicable behavior. For example, UBS, like most of its competitors in global private banking, has a long history of engaging in perfidious behavior, apologizing for it, and then turning back to the future. 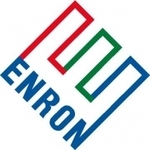 This includes UBS's involvement in South Africa's apartheid debt and the accounts scandals of the 1980s involving the Marcos family; Benazir Bhutto, Mobutu Sese Seko, Holocaust victims, and Nigerian dictator Sani Abacha in the 1990s; the 2001 Enron bankruptcy, and the Menem arms-purchasing scandal in Argentina; the 2003 Parmalat scandal; the 2004-2006 Iran/ Cuba/Saddam funds transfers scandal, for which it was fined $100 million by the Federal Reserve; the 2008 Massachusetts and New York securities fraud cases, and now the Birkenfeld matter. Furthermore, as the Committee report noted, UBS has a history of violating even its own policies. From this angle, unapologetic LGT is at least not hypocritical. It is also well to remember that UBS and LGT are hardly the only global private banks involved in recruiting wealthy clients to move money offshore. The Committee report indicates a long list of other banks that also provided offshore services to American clients involved in the UBS and LGT cases--including Citibank (Swiss), HSBC, Barclays (Birkenfeld's original employer), Credit Suisse, Lloyds TSB, Standard Chartered, Banque du Gotthard, Centrum, Bank Jacob Safra, and Bank of Montreal. In addition, there are dozens of other non-US and US banks that are also active in the offshore US private banking market. This suggests the shortcomings of a case-by-case prosecutorial approach, and the value of designing regulations to improve behavior and provide ongoing feedback about taxpayer compliance. In principle, one can imagine many such improvements in regulation, assuming a compliant Congress. For example, as proposed in the "Stop Haven Abuses Act" (S-681) introduced in 2006 and revised in February 2007 by Senators Levin, Coleman, and Obama, there would be a rebuttable presumption that offshore shell corporations and trusts are owned by those who establish them. This would eliminate the "Q.I. rule" exception, which allowed hundreds of UBS clients to avoid reporting to the IRS simply by moving their assets to into shell companies. We could also institute many other changes, including an increase in the painfully short, three-year statute of limitations for investigating and proposing changes in offshore tax liabilities; tightening up on anti-money laundering legislation; levying withholding taxes against hedge funds; raising the penalties for abusive tax shelters, and requiring banks that open offshore entities for US clients to report them to the US Treasury. However, most of these proposed rule changes have the flavor of stopgaps, technical gimmicks that are still far too focused on individual taxpayers rather than the private banking industry--the advisers, enablers, and systems operators. If we're right that this industry had become an unregulated, untaxed black hole--a multi-billion-dollar global "bad"--we need to focus on two key tasks. The first is to create appropriate incentives for the global private banking industry to do the right thing. We need to find ways to tax the behavior of tax-evading institutions, their CEOs, senior managers, and even shareholders, to punish them for more misbehavior, and perhaps also reward them for bringing the money home with a brief one-time tax amnesty. In the short run, there have to be more Bradley Birkenfelds, more exposés, and more penalties for banks and bankers alike. Mere apologies, however heartfelt, should not be enough. The second challenge is to organize a global alliance around this issue. This is more difficult, although steps are already being taken. Global organizations like Tax Justice International, Oxfam GB, Friends of the Earth, Global Witness, and Christian Aid are converging on a new global campaign around the issue of havens and offshore tax evasion. They've been enlisting support for this effort from countries like Norway, Chile, Brazil, Spain, and France, organizations like the UNDP, the World Bank, and even the International Monetary Fund. This is very exciting, but the organizers face one critical problem--the fact there are serious conflicts of interest among developed and developing countries. The fact is that the United States, the UK and other developed countries not only lose tax revenue to haven banking; they also profit from it, because their own banks are so deeply engaged in it, especially when it involves developing countries. 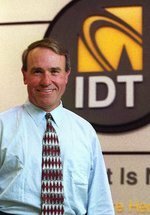 Back in April 1986, this author broke the story that Citibank was actually taking far more capital out of Latin America and other developing countries than it was lending to them, despite its reputation as the largest Third-World lender. Indeed, the business of helping Third-World elites decapitalize their own countries had become so large and lucrative that Citi's private banking group was the bank's single most profitable division. 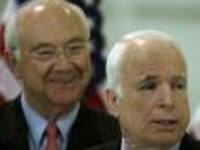 To achieve that feat, Citigroup resorted to skullduggery and the flouting of local laws all over the planet. This included repeatedly sending teams of private bankers undercover to countries like Brazil, Argentina, and Venezuela; helping to set up thousands of shell companies and bank accounts in offshore havens and secretly transferring funds to them; teaching its clients money-laundering tricks like mis-invoicing and back-to-back loans; designing ways to communicate with clients that kept their financial secrets safe; and overall, concealing vast sums of flight capital from Third World tax authorities (and their competitors), while lobbying Congress to insure that any foreign capital that arrived in the United States enjoyed near-zero taxes and near-Swiss secrecy. For a time the resulting tax breaks and lax banking rules that applied to "nonresident aliens" from other countries made the United States, in effect, one of the world's largest tax havens. In short, from the 1970s to the 1990s, banks like Citigroup, BankAmerica, and JP Morgan Chase (and UBS, Credit Suisse, RBS, Paribas and Barclays, etc.) were behaving throughout the Third World just as badly as UBS has recently been behaving here. And their very success laid the foundations for the global, private-haven banking industry with which the IRS is now struggling. At the time, it seemed that their behavior was hurtful mainly to the developing world, which wasn't strong enough to hold Senate hearings and put Citibankers in jail. But lately it has become clear that the system has grown large enough to consume its creators. In the last thirty years, fueled by the globalization of financial services, lousy lending, capital flight, and mind-boggling corruption, a relatively small number of major banks, law firms, accounting firms, asset managers, insurance companies, and hedge funds have come to launder and conceal at least $10 trillion to $15 trillion of private untaxed anonymous cross-border wealth. Rich people the world over, including tens of thousands of wealthy Americans, are now free to opt in to this sophisticated, secretive, utterly unprincipled global private banking industry. They can become, in effect, residents of nowhere for tax purposes, citizens of a brave new virtual country, which offers its inhabitants unprecedented freedom from the taxes, regulations, and moral restraints that the rest of us take for granted. They wield enormous political influence even without paying taxes, merely by making contributions, threatening to withhold them--or better yet, threatening to abscond with their capital unless certain conditions are met. In a sense, this is the ultimate libertarian pipe dream: representation without taxation. But it is a nightmare for the rest of us, and we must design and organize our way around it. Let me just add one paragraph for those in the audience who don’t automatically stand up and cheer every time someone figures out a new way to boost tax revenues, even through better law enforcement. 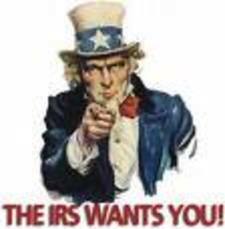 Why should we care whether Davy Jones is clever enough to fiddle with his IRS bill, even by way of offshore banks? Wouldn’t the funds just be wasted if they went to the government rather than to finance Davy’s yacht tender in Marbella? Or won’t the government just borrow and spend anyway, regardless of revenues? Well, in these straightened times, with a gargantuan federal deficit, most state and local governments running out of debt capacity, stagflation, a weak dollar, private debt at record levels, and rising unemployment, just imagine that every extra dollar for that yacht tender is coming right out of the funds available for schools, teachers, hospitals, roads, police, and fire protection – local services. The free lunches have all been mortaged, or given away in capital gains tax cuts for the same social class that is also are evading what little taxes they still have to pay. Meanwhile, $1 spent on a yacht tender goes right to the bottom, while $1 spent on food, salaries, or even roads has a much greater multipler, and benefits a more deserving class. Perhaps best of all, think of the difference between giving an exra $1 to the hard-working child care worker down the street, compared with $1 to some wealthy scion of a giant shopping mall dynasty who spends his life just trying to spend his inheritance. James S. Henry is a New York-based investigative journalist who has written widely on the problems of tax havens, debt, and development. His most recent book, The Blood Bankers (Basic Books, 2005), examined where the money went that was loaned to eight developing nations. His forthcoming book, Pirate Bankers (2009), examines the history and structure of the global private banking industry.